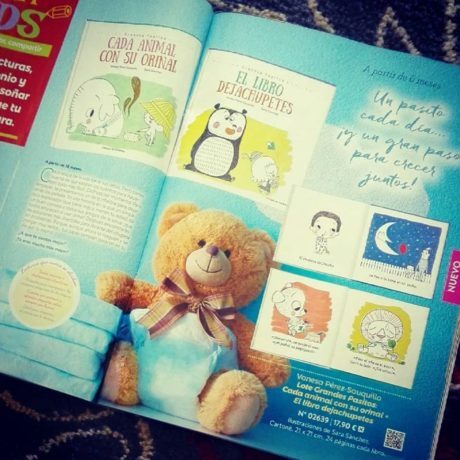 My series for Toddlers “Grandes Pasitos” (“Big Baby Steps” could be a translation) are now published in Turkey, in A7Kitap Publishing Company. A series full of humour, in verse, to help the little ones deal with the important moments of their day (bedtime, leaving pacifier, potty training and dealing with their emotions). With Sara Sánchez’s cute and funny illustrations. 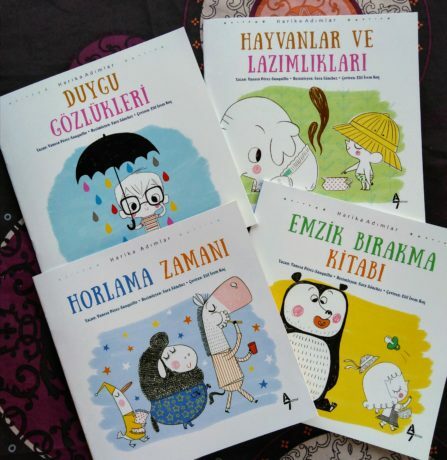 A big hug to my young Turkish readers! 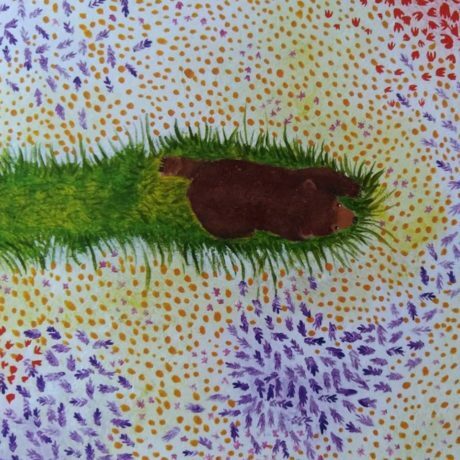 Jazmin Villagrán has illuminated three books of my verses with her joyful illustrations, one for each trimester. (¡Hola Oso! El cumpleaños del Oso and ¡Adiós oso!). I hope you like them! Here is an example of one of the inner pages. For more information for teachers, visit Santillana’s website here. As you can see, we’ve renovated my website this summer, so that it adapts to any device you see it from and that the contents are more accessible. I hope you like it! Very soon I will tell you all about the surprises this Autumn will bring. There will be a very special exposition related to one of my latest books, book presentations, a new book of poetry… and I’ll also tell you about something that will be happening next year. I wish you all the best for this new season. 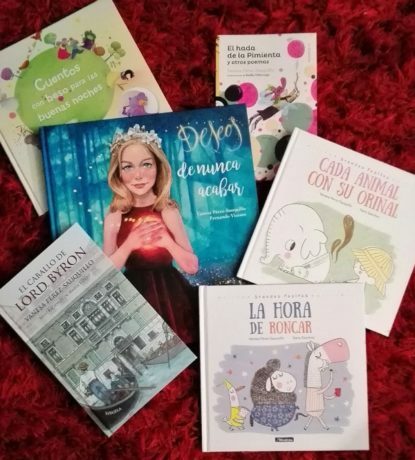 Now available in Círculo de Lectores (Spanish Bookclub) is my collection of Grandes Pasitos books, a funny and poetic way for your child to stop using the pacifier and get out of those diapers. Wonderful illustrations by Sara Sánchez. The Madrid Book Fair is back! This Sunday, the 3rd of June and the following, the 10th, I will be signing my most recent Children & Young Adult titles from 12:00 to 2:00 pm. On Sunday the 3rd, I will eb inthe Siruela booth (284) signing “El caballo de Lord Byron” (Lord Byron’s Horse), bu most recent novel for 9+ years. And on the 10th I will be signing that book and others for all ages (“Deseos de nunca acabar”, “La hora de roncar”, “El hada de la Pimienta”…) en booth 80: Kirikú y la Bruja.